I like to consider myself an artist. When I was younger, my dream job (besides being a lawyer), was to be a famous artist. Sketch pad in hand, I sat in my room daydreamed that I created a revolutionary new artistic movement, became famous and revered in the art world, and lived happily ever after. The end.Perhaps that will still happen one day, but if my artistic career hinged on my nail art abilities, there would be no hope for me. Lemme keep it real: I’m no nail artist. I don’t know how those brilliant folks at the nail salons do it, but more power to them. Trepidation aside, I went ahead and purchased the K.I.S.S. 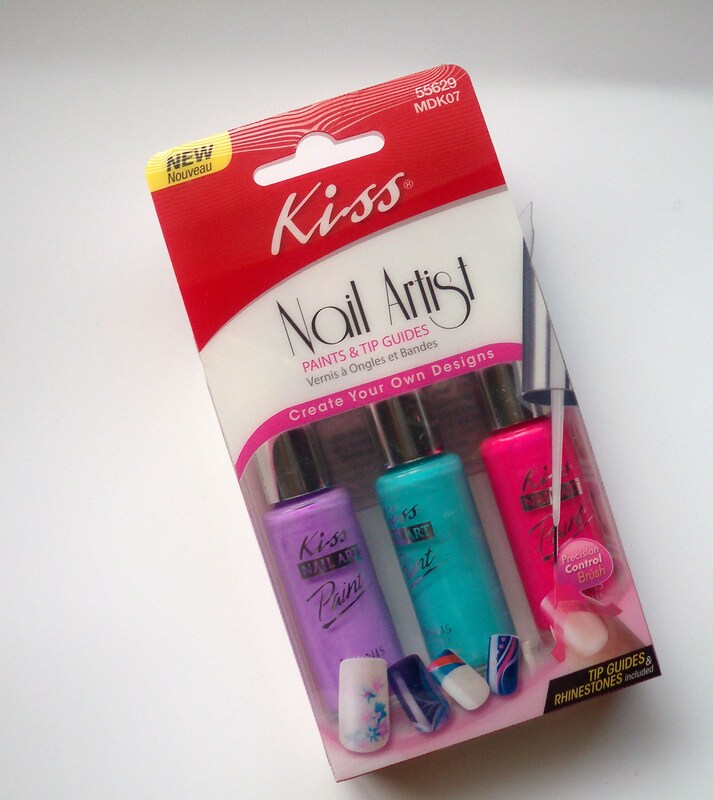 Nail Artist set . I’ll try anything once when it comes to my nail, so I figured why not.